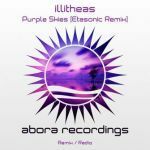 Abora favorite Afternova comes back to Abora Skies with a very special release. This is the 2015 Essential Remakes, which contains your favorite Afternova tracks, updated by the man himself! 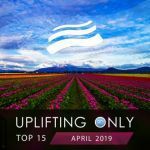 Starting off with the beautiful 2015 remake of "Tranquility", Afternova manages to keep the general feeling of the song intact. With its pumping bassline and its emotional breakdown that then leads to an epic climax, full of energy and passion, this remake of "Tranquility" is the perfect start to the unique release! Next is the remake of his 2013 hit "Into The Sky". Afternova manages to give a new and fresh feeling to the track. By combining modern elements with the original melodies, Afternova proves that his work is timeless. It again features a marvelous breakdown followed by an epic climax, which will move your body, whether you are listening either on a dancefloor or at home. The final track of this release is the updated version of "Together We Are Strong". In this one, Afternova delivers an updated version of the majestic original melody, and makes it even better. The whole feeling of the original track is still there, and is enhanced by Afternova's modern production techniques! All in all, this release is a must-have in all uplifting trance collections. It is very rare to see an updated version of a track being as good, if not better than the original. 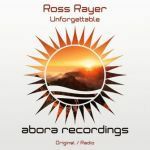 This release shows again all the talent of Afternova, and that he remains one of the best composers of the genre!